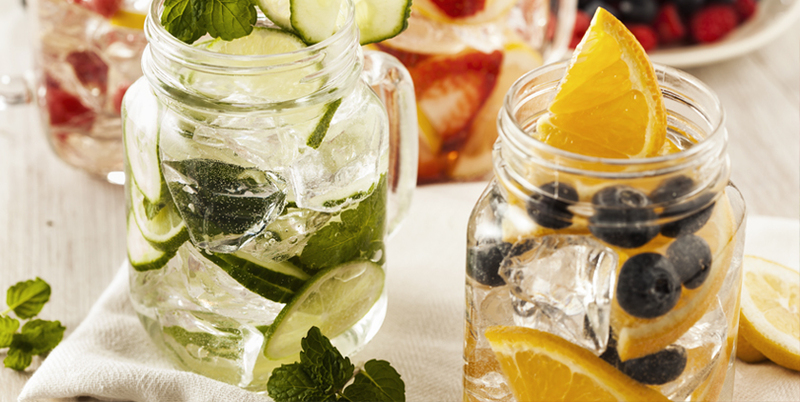 Is water the key to detoxification? Since the adult human body is made up of about 60% water, it is reasonable to believe that drinking adequate amounts of H2O can help remove toxins from your body. To understand how drinking water can help you, we must first understand what can happen when we don’t drink enough. If you don’t drink enough water, your kidneys won’t have enough fluid to function properly. The kidneys work to eliminate waste products and toxins from the body. When left with inadequate amounts of water to properly flush your system, your body holds on to these toxins instead of eliminating them. A build-up of toxins in the body can lead to health problems and disease. These toxins can come from internal or external sources. Internal sources include waste from our metabolic system, hormones and gut bacteria. Stress is also extremely toxic to your body. Common external sources include medications, processed foods and chemical additives in products. So how much water is enough? According to the Food and Nutrition Board of the Institute of Medicine, the daily recommended intake for women is 2.7 liters (91 ounces). For men, a minimum of 3.7 liters (125 ounces) is required. If you are beginning or maintaining any serious fitness program, you will certainly want to increase your water intake above the normal recommendations. If you’re having trouble drinking enough water throughout the day, consider adding one of our Liquid Water Enhancers to your regimen. Each supplement adds a delicious drop of flavor to your water so it’s easier to drink, plus functional fitness benefits. Best Aminos™ supports muscle building, recovery and performance. Best Energy can help increase energy and focus. Carnitine may help boost performance. Finally, Garcinia supports weight loss efforts. Identify and remove toxins from your diet. Exercise to improve circulation and help speed the elimination of toxins. Eat 8 to 10 servings of fruits and vegetables each day. Focus on vegetables like broccoli, kale, cabbage, Brussels sprouts, garlic and onions, which help increase sulfur and speed detoxification. Eliminate or minimize drugs and alcohol. This includes sedatives, stimulants, pharmaceuticals, caffeine and alcohol, which can significantly impair your detox efforts. Hit the sauna, steam room or hot tub. This not only helps remove toxins, but it also reduces stress and aids relaxation. Meditate, do yoga, breathe deep, take breaks, stretch – do whatever you can to reduce stress and remain in a relaxed and positive state of being.